It has been raining most of the week here and my kiddo can get pretty bored and starts getting cranky being cooped up in the house all the time. The first place I go to in my recyclable stash! 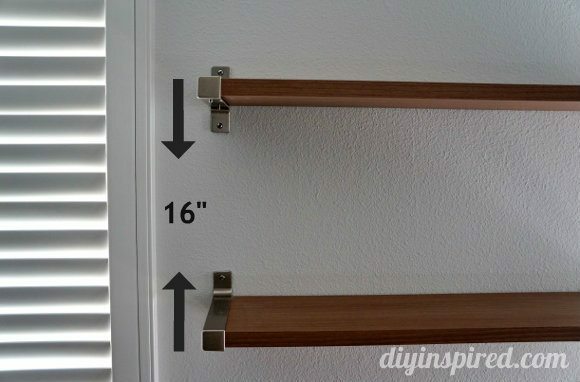 It’s always fun to come up with new ways of using things you throw out every day. In this case it’s water bottles. Our family likes to drink a lot of water and at times I feel so guilty in drinking bottled water and then throwing out the bottle. Now I have a way to keep my little kiddo entertained and reuse my water bottles all in one shot! 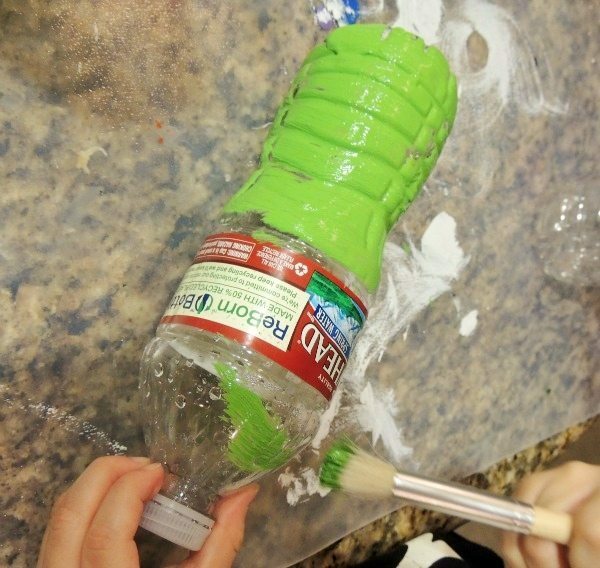 Here is how I made our Recycled Plastic Bottle Ninja Turtle Bowling game. I first removed the labels off the bottles and with the help of my little man we colored the bottles green. My little man loves his ninja turtles and I decided to make them into ninja turtle bowling pins. However, you can make them into any character you like! 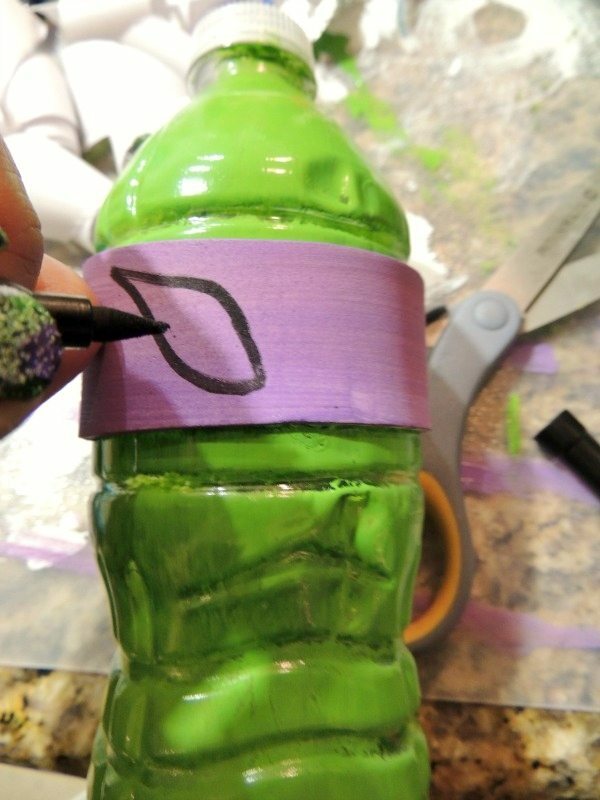 After the paint has dried I cut out foam and wrapped it around the bottle. 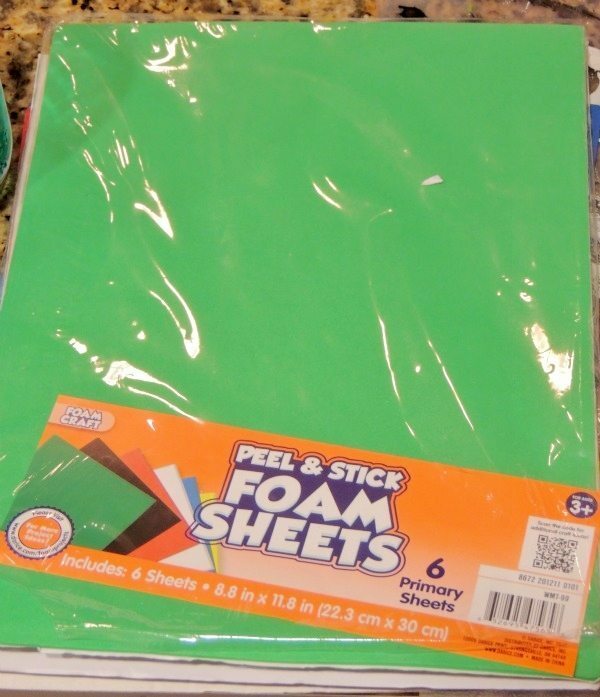 The foam I used is self-adhesive and did not require any glue which my little man was a little disappointed in because he loves using the glue. 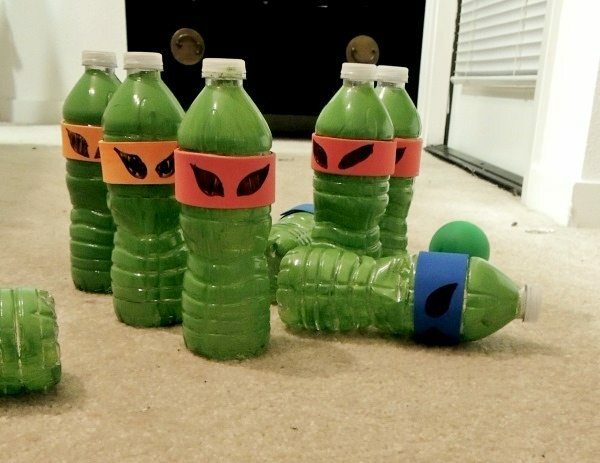 We cut the foam in all four colors of the ninja turtles; I drew eyes on all the bottles. Then I added a little bit of water to the bottles so they would not tip over so easily. Ta-Da! 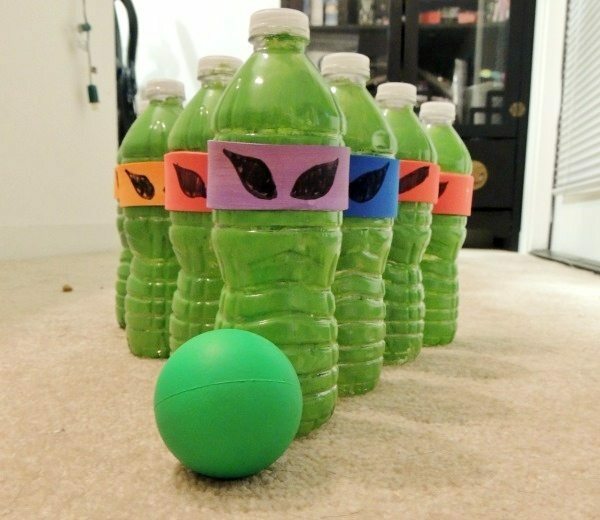 Now you have your own ninja turtle bowling pins to play on rainy days or those occasional sick days at home.